Will August Bring Out the Sun? Will we see the sun in August? August isn't exactly starting off with a bang. It is the first day of the month and August has already inherited July's cooler temperatures. 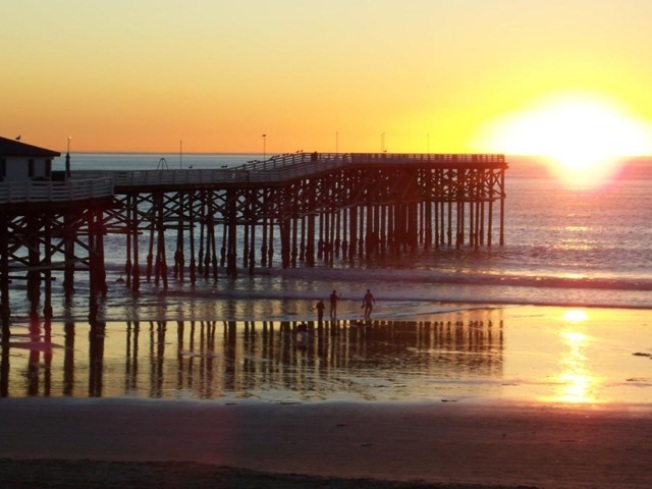 Many San Diegans are asking themselves where did Summer go? Cooler water off the coast has been causing San Diego temperatures to dip. It's not just local; the temperatures in the ocean off the entire coast of North America are cooler then normal. The pool of cool water stretches from Baja all the way to Alaska. This isn't a rare occurrence, but the pool of water is larger than normal, said Dr. Sam Iacobellis, a specialist in Climatology at the Scripps Institution of Oceanography. The cooler water is a phenomenon known as La Nina, which means the water is three to five degrees cooler than normal. You may have heard of El Nino, which means the ocean water is three to five degrees warmer than usual. The lingering clouds are a result of La Nina. The warm summer air sits on top of the cooler water causing a marine layer to form; this allows clouds to be persistent, which means they stick around all day. In order for us to have a seasonably warm August and September, the water has to warm up by 3 to 5 degrees. The water temperature is coldest it has been in 20 to 30 years, Iacobellis said, and this is the cloudiest month of July since 1991, before that July 1976 held the record. Sadly, for surfers La Niñas are usually associated with fewer storms, and with fewer storms you don't have what it takes to create good waves, Iacobellis said. "Hopefully, the weather Gods realize it is a new month," Iacobellis said. The climatologist said there is no explanation for weather and there is no way to tell when it will go away. Iacobellis says the weather is persistent, so we are definitely in for more. It is too early to say it is a climate shift, Iacobellis said. The National Weather Service has determined July was the fifth coolest on record, averaging about 5 degrees below average at Lindbergh Field, the official reporting station for the county. Inland, temperatures were down only about 3 degrees below normal and the deserts were right on or slightly above average. By Tuesday, the weather should warm up a bit because of intense high pressure, but it won't last and we should return to this pattern by the end of the week.